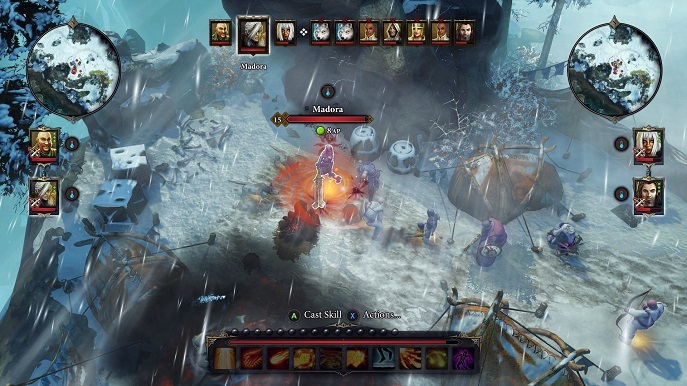 UPDATE: Divinity: Original Sin - Enhanced Edition comes forth with a whole new set of features, making one of the best RPGs I've ever played, even better. The game is now playable on consoles, with full controller support that is very precise and accurate for most gameplay mechanics. You can also play with someone on split-screen local co-op. But enough of those shenanigans, the game is now fully voiced, for all characters. This is an enourmous step-up as it requires a ton of recording and mixing work, and most (if not all) voice actors really nail the personalities they are aiming for. The game opens a lot more now with extra missions, not that amazing but still new and interesting. The game now has a full design re-work, making the UI much cleaner and easier on the eyes in contrast with the environment. At it's first original release, the game seemed pretty much complete by itself, yet Larian Studios have a talent to make their stuff better with the passion they have for it. The amount of game mechanics implemented and balancing is not easy for this genre, yet the game now feels fully fleshed out and worthy of multiplatform release. If you're the gamer that waits for these types of games to have a "full edition" until you play them, you were missing out on the original, but hey, now you can enjoy the vast experience of this glorified Enhanced Edition. 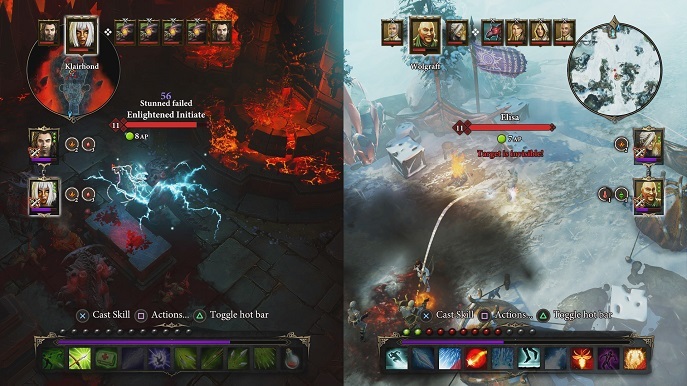 After a successful kickstarer campaign, Larian Studios completes their latest addition to the Divinity franchise that most gamers were expecting for. 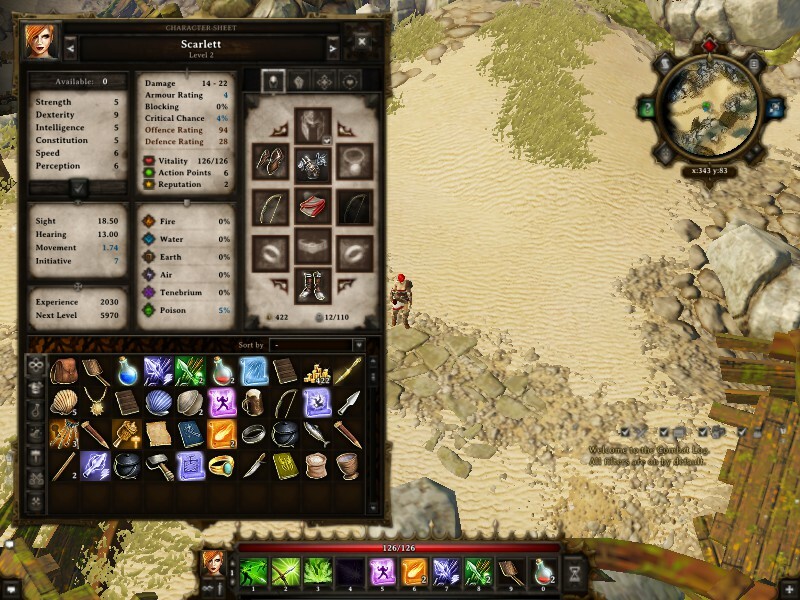 The prequel, Divinity: Original Sin brings new mechanics that step up the RPG genre. A mixing between role playing, turn based combat, dungeon crawling, puzzle solving and a dialogue morality system are only a few of the ingredients to this epic adventure. Set in the dark fantasy world of Rivellon, a group of orcs from Tanaroth are fighting with new resources that make innocents and human guards tremble. Two heroes have the courage and strength to fight against it, a condemned warrior released from his chains and a mystic heroine restored to life, kind of explains why everyone thinks you’re a zombie… Together as a singleplayer or co-op experience you can hold of the orc menace and discover the roots of their violence. 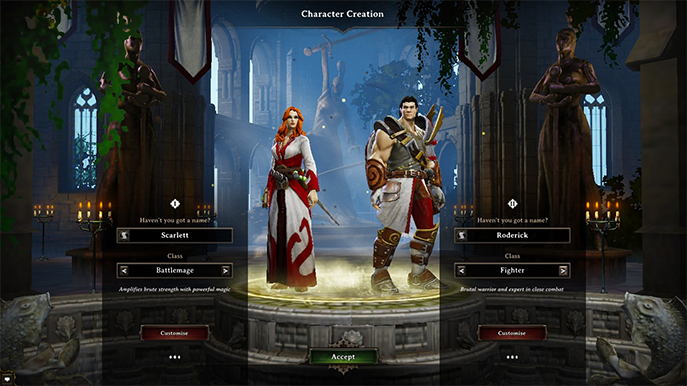 Your two playable characters are very customizable. Changes include: Genre, faces, hairstyles, hair color, in-game icons, skin tone, voice and even underwear. You will then be able to choose what class each character will play. For a better in depth talk, let's distribute the game in its main branches. 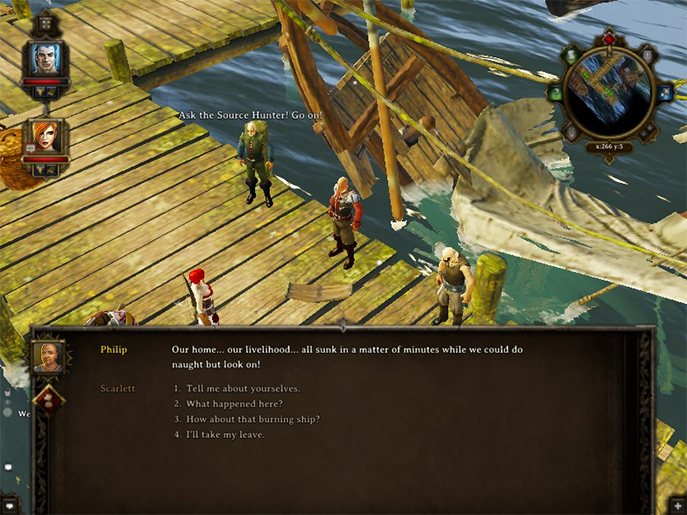 Gameplay: Morality choices, the mechanic works in a conversation with the NPC and between the two main characters, dealing with good and evil consequences that define your path. You can choose from a wide vaerity of classes, from melee all the way to spell casting and range. Level your character in its base stats, teach him special abilities in magic, crafting, blacksmithing, bartening, charisma, sneaking and many more. Environment interactable objects for combat mechanics drag and move objects to facilitate movement, step on switches, and turn off the fire with water barrels. Elemental mechanics with the environment use fire on oil ponds to explode your enemies by surprise. Manage how your two characters are connected and move them independently to solve puzzles. Sneak your way to ambush a group of enemies. You can also you different keybinds to check the stats of an enemy, discover its wicknesses and fight accordingly, also other buttons that allow you to search for hidden drops that may have been missed, but be careful what you loot as you may accidentally take something that doesn’t belong to you! The game offers a map, which you can check every time you need to mark a destination and uncover new locations. Travelling is simplified with WayPoints as you discover them primarily by exploring. 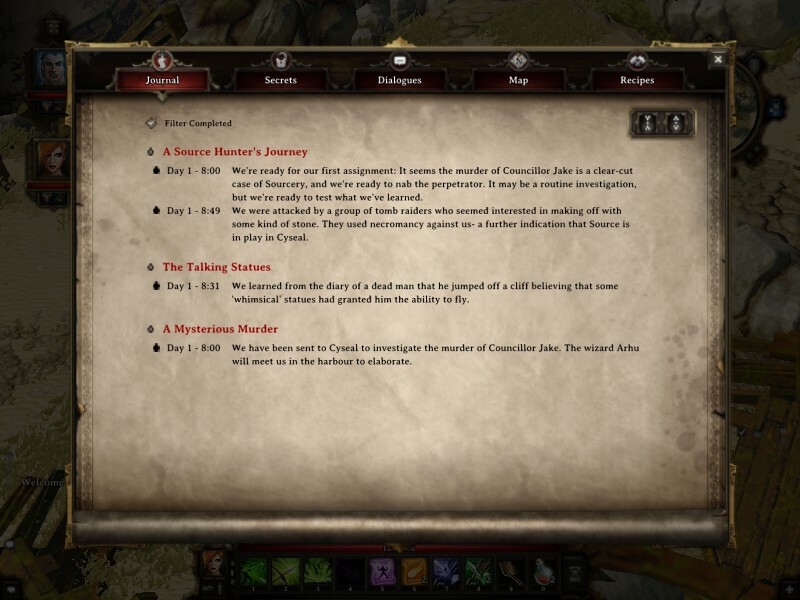 The game saves a log of conversations you have had with your partner and NPCs. You can also access a Journal that keeps track of every update you get from specific experiences, from the start of a discovery all the way to the conclusion of how you solved a problem. If that isn’t enough, you can loot many resources, from ingredients to weapons and store them in the character you’re playing as, you can send specific items to your other character for a better distribution system. The game offers a lot of content in written lore that you can find in books and from what you learn from villagers, guards or any other NPC. Some dialogue options may get repetitive though, but they do a good job in aiming at your main objectives and a few side missions. Original Soundtrack: Stereo balanced acoustics with elaborated harmonics, outstanding piano melody wit the support of reverbed strings and flat yet charismatic tune. The game includes an orchestral instrumentation that offers the dark and magical atmosphere and an appropriate ambience to the Divinity franchise. The voice acting serves well in this universe as it should, even though some voice outputs may be a bit exaggerated in the mix depending on the environment, for example, while dungeon crawling your female voice may be a bit loud and disrupt the entire sneaking experience, it does not affect gameplay fortunately. On the other hand, these voices, magic and special effects have well applied Aux FXs (I assume) that give the player a more immerse ambience. Graphics: Some cutscenes evolve as animated artwork which gives it a reasonable style of an oldschool feeling. The game works with an isometric perspective with rotatable camera and zoom, so always check if you missed a lootable crate or even a switch behind a wall. The game adjusts its visual aesthetic accordingly with the place your characters are, lightning and shadows work depending on an external or internal atmosphere, not to mention special abilities, spells and environmental hazards can immediately tell the player the gravity of an action. Creatures and character designs are modeled appropriately and look quite well even when zooming in. There is also a wide variety of weapons and gear implemented in the game as well as classic art icons for each. Video setting options are very customizable, you are free to alter them to your pleasure even to a specific framerate cap with a slider to adjust the performance. The only issue seems to be the lack of screen resolutions you can set as it shows your screen’s default as the only option available, you can change the resolution nonetheless by altering the graphics xls file in the game’s Documents folder if you consider it appropriate. 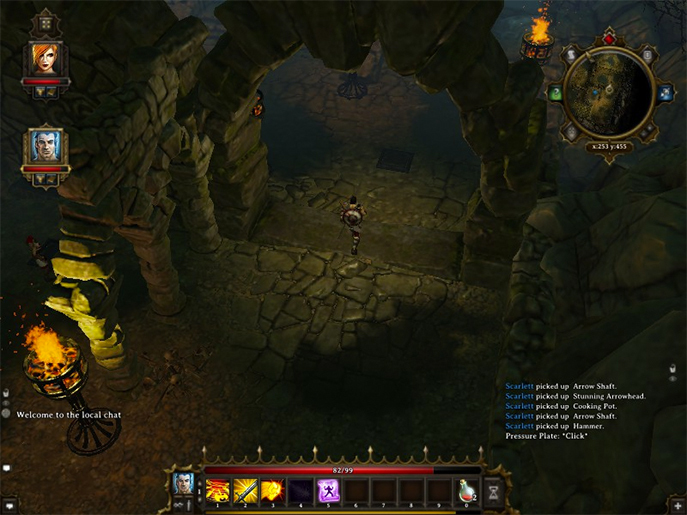 BONUS: Larian Studios added the feature of a Level Editor. The player can easily create custom adventures for both singleplayer and co-op. These can be uploaded for other players to experience. The editor works fairly well, with 3d object placement and understandable mission triggers and planning. Divinity: Original Sin is a title with many new and well-executed features, creating a pleasant and epic experience for any RPG gamer. 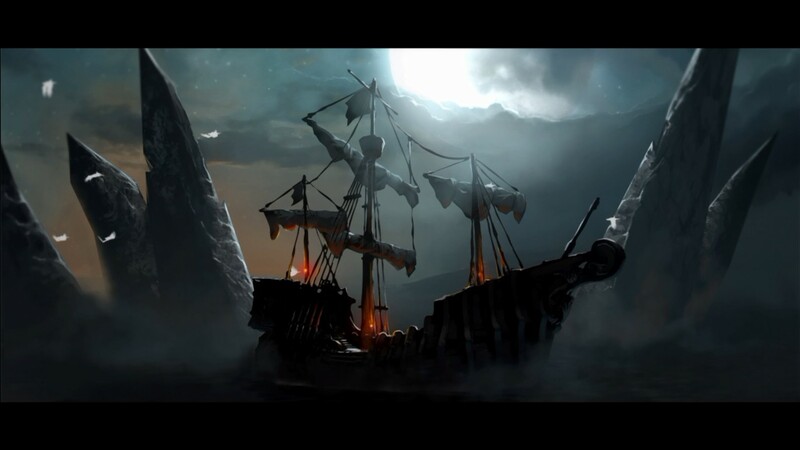 + Amazing graphics appropriate for the epic fantasy world. + Well mixed and a pleasure for the ears soundtrack. + Interesting character dialogue system for co-op. + Interact with almost anything in the environment for different effects. + In depth class/status development and customization.